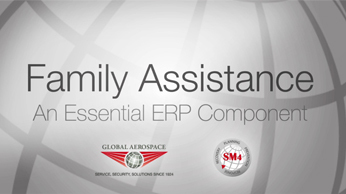 The Global Aerospace SM4 Safety Program has revolutionized the way insurance specialists help their clients achieve higher levels of operational safety. SM4 was built on the concept of integrating four critical safety components: planning, prevention, response and recovery. Its mission is to help organizations manage risk, enrich training efforts, strengthen safety culture and improve safety management systems. Over the years, the SM4 program has evolved to meet the needs of the industry. Now entering its 10th year, SM4 continues to provide targeted subject matter experts and financial support to the aerospace sector. SM4’s web-based resources, monthly e-newsletter and various safety initiatives address the most crucial issues in aviation safety. We are committed to continuously improving these resources not only for our clients, but also for the entire aviation community. The Community of Excellence promotes a concept designed to elevate the SM4 Safety Program and deliver unmatched service to the aviation industry. The Community of Excellence partners and subject matter experts have transformed the SM4 program to make it more visible and provide easy access to the many safety benefits it provides. View full list of 2019 resources and direct services.